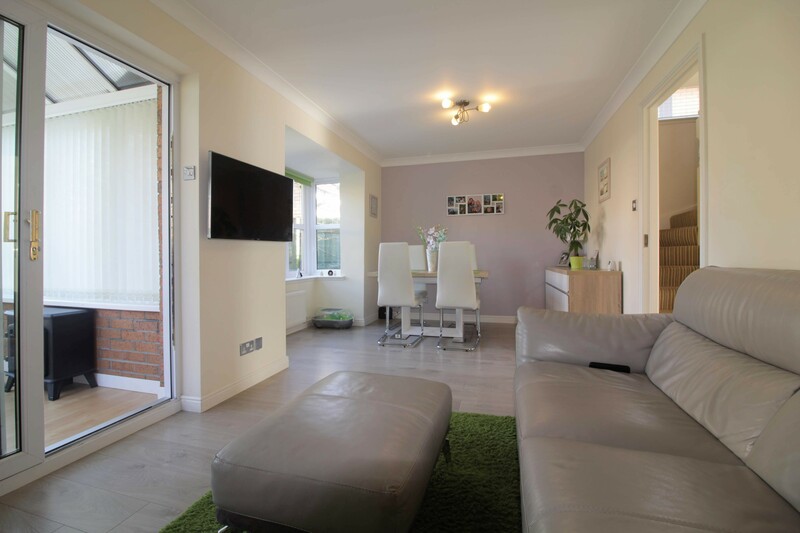 Hoppers Estate Agency are delighted to market this immaculately presented 3 bedroom detached villa in a sought after area. 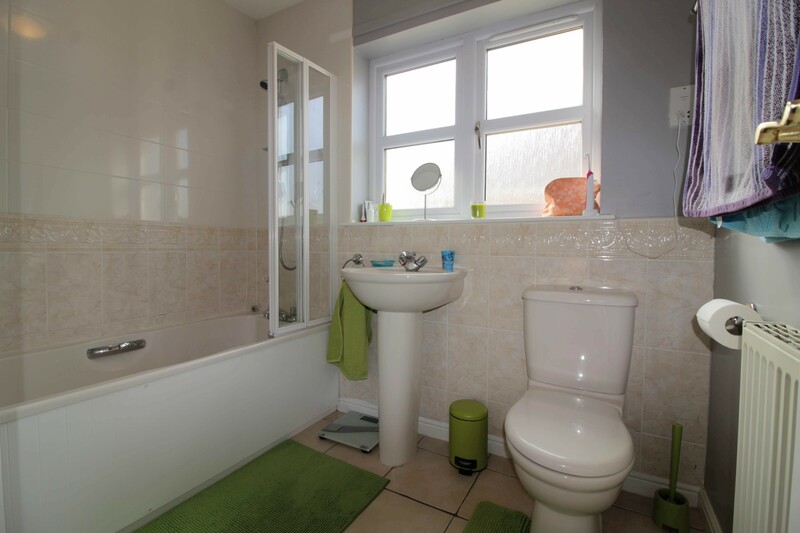 Comprising 3 bedrooms, 2 reception rooms (garage conversion), kitchen, conservatory, bathroom, WC and en-suite. With front and rear gardens, off street parking, GCH and DG. Presented in walk-in condition, viewings highly recommended. 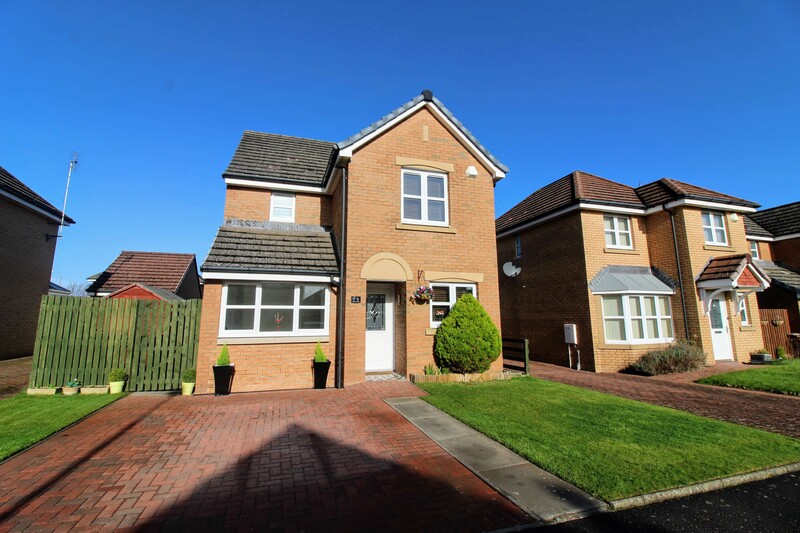 Whiteside Drive is a beautifully kept estate in Monkton. 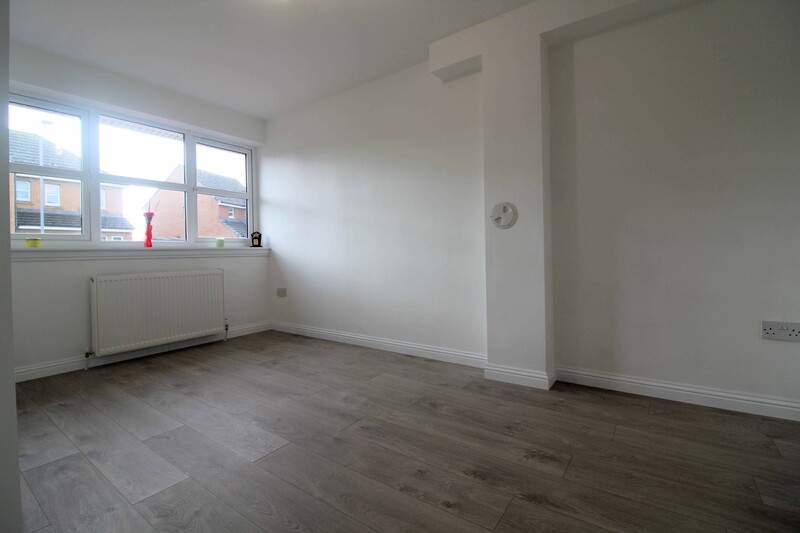 Within easy access to Prestwick Town, Ayr, Glasgow and beyond, the property is ideally located for commuters or families. 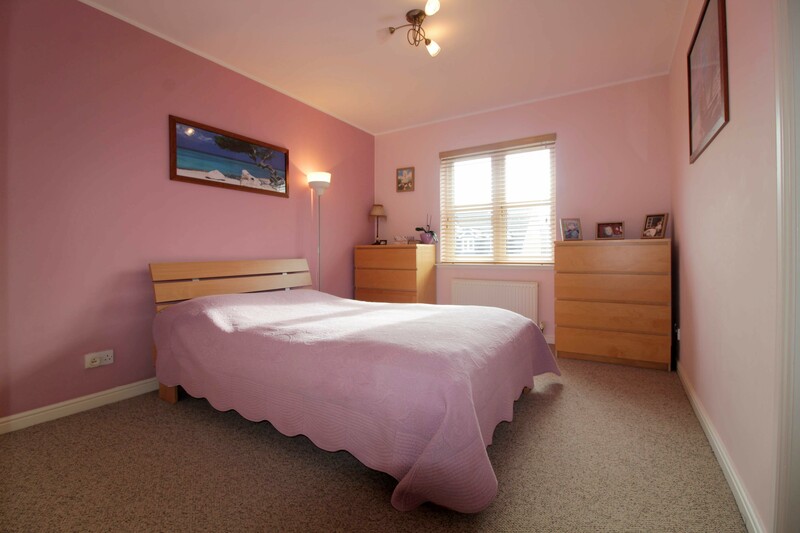 Internally the property is beautifully maintained, with tasteful, neutral decor throughout and flexible accomodation. On entry a welcoming hallway leads to the lounge-diner at the rear of the property. 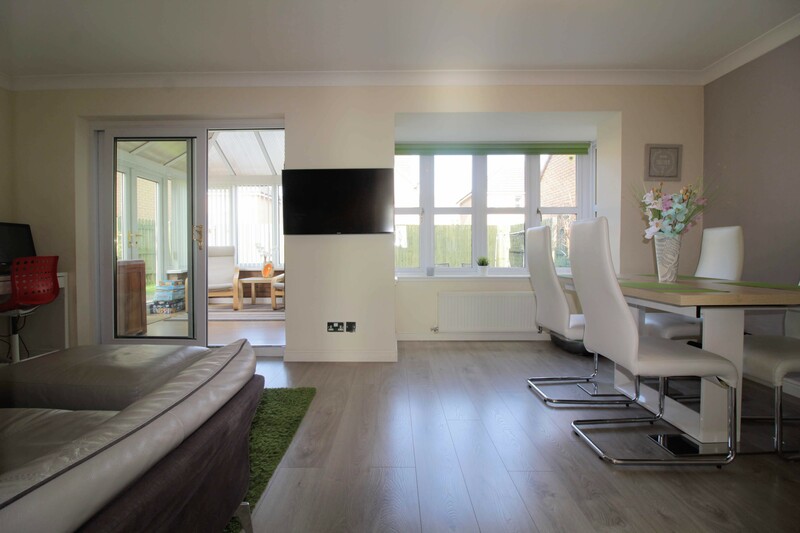 A bright and spacious room with ample space for lounge and dining furniture. 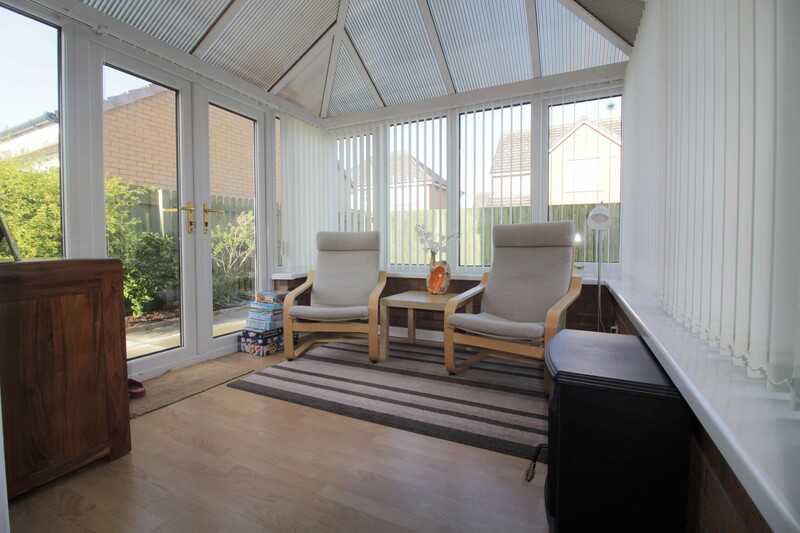 A square bay brightens the room, as well as glass doors to a sunny conservatory. 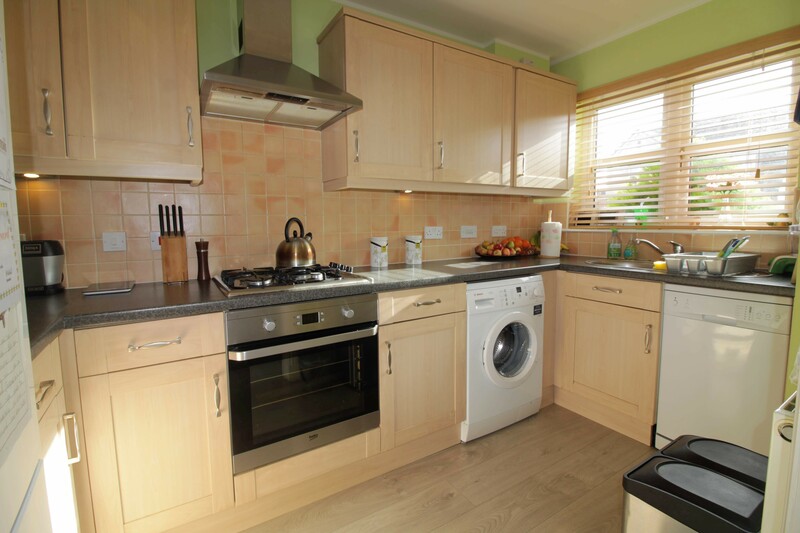 The kitchen is relatively modern, with wooden wall and base units providing a good amount of storage and worktop space. 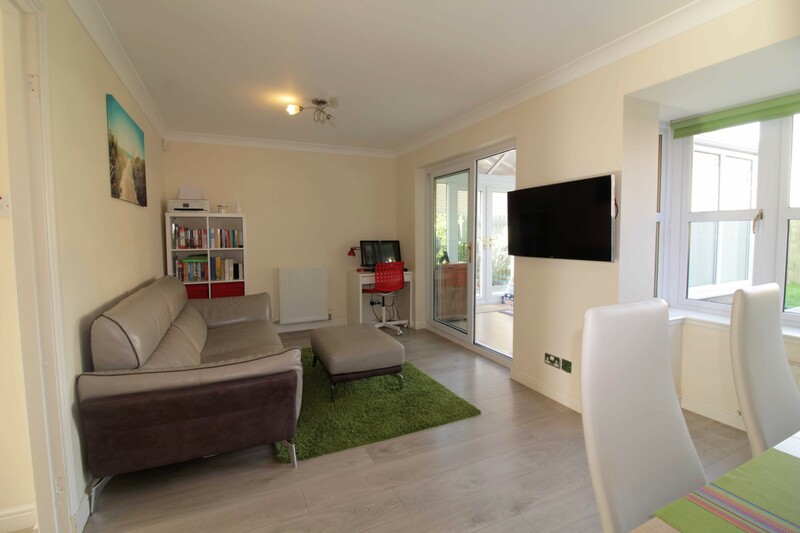 To the left on entry is the garage conversion, a good sized, bright room that would be a suit a variety of uses; sitting room, playroom, or 4th bedroom to name a few. 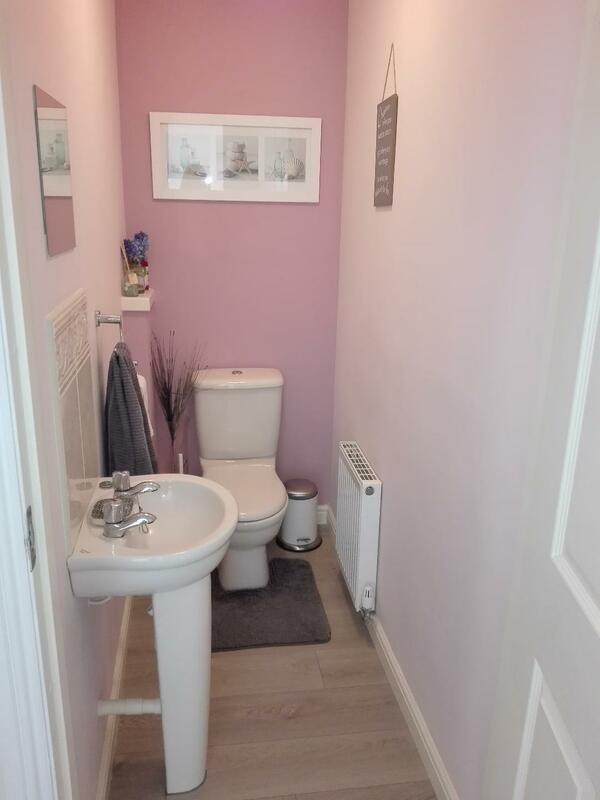 Also on the ground floor is a WC, excellent understair storage, and a useful storage room which is accessed from the exterior side the of the property. 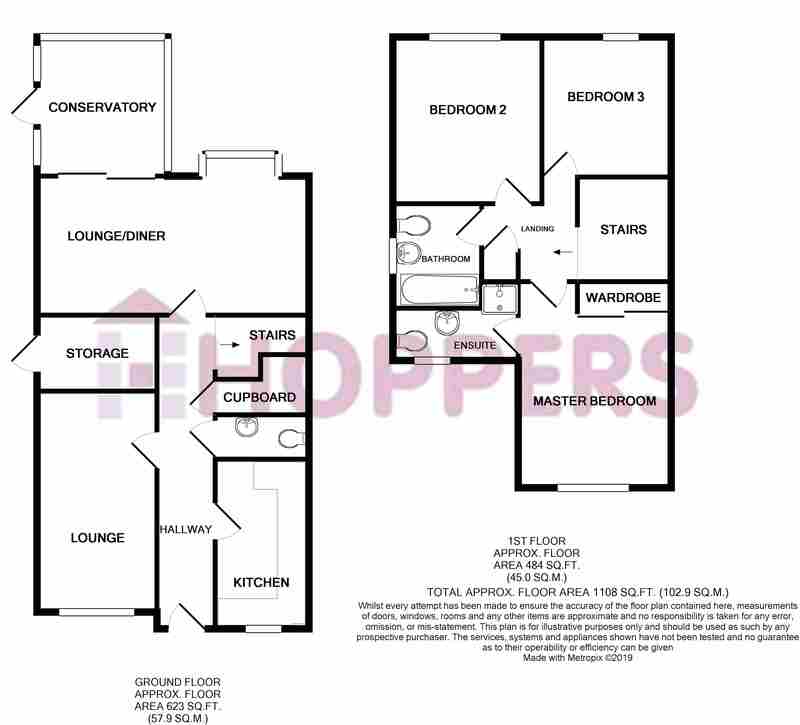 On the first floor are 3 double bedrooms. Bedroom 1, the master, is large with fitted storage. 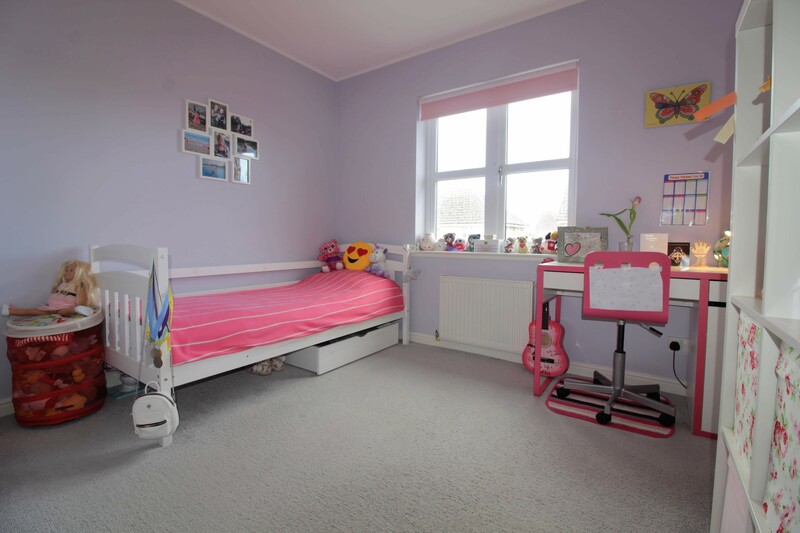 A front facing window brightens the room and the decor is tasteful and neutral with fitted carpet, the room also benefits from an en-suite shower room. 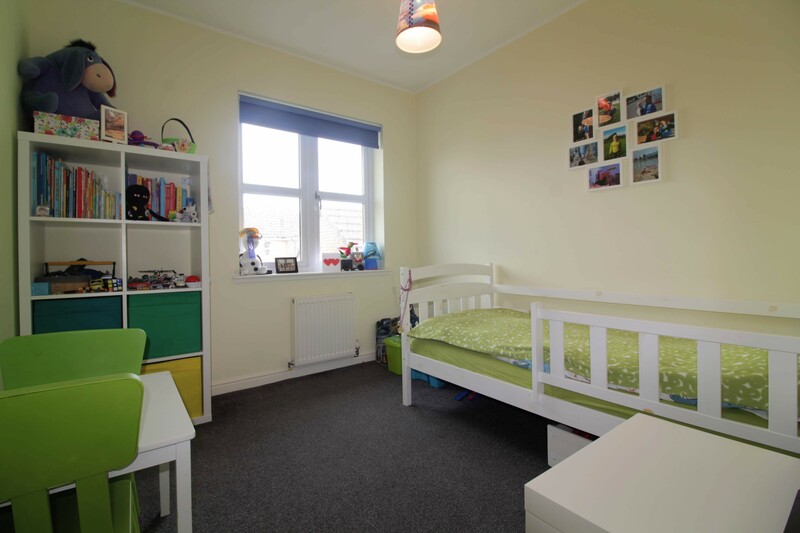 Bedrooms 2 & 3 are rear facing doubles, again, with bright, neutral decor throughout. 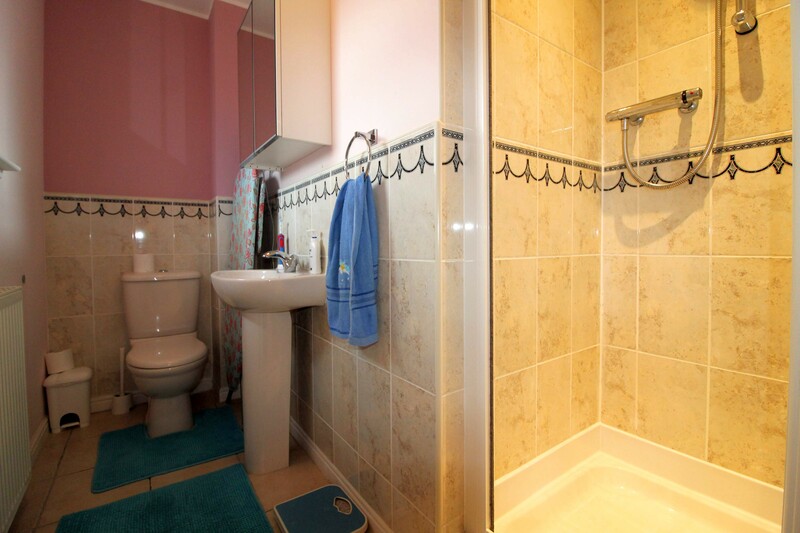 The family bathroom is modern with white suite comprising toilet, wash-hand basin and bath with shower above. The front of the property boasts a neat lawn and driveway, as well as gate access the rear. 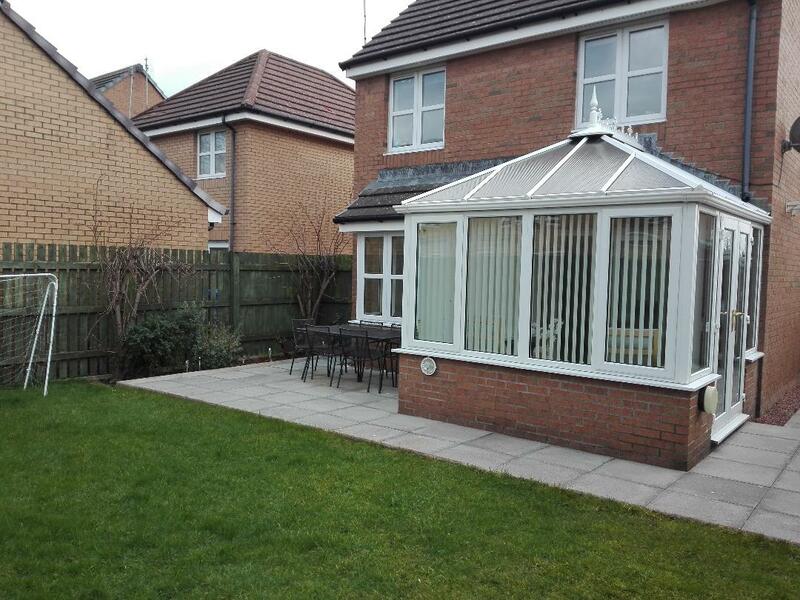 At the rear the garden is mainly laid to lawn, with a small patio ideal for outdoor seating. At the side is an access door to the storage room on the ground floor. Reception Room (Garage Conversion): 8'0x14'0 approx.